Rice never gets out of the trend in the industry, whether in its simplest or mixed form. To cater to the undying hanker for rice, Orange Brutus joined in the line up of fast food chains that offer special rice orders. 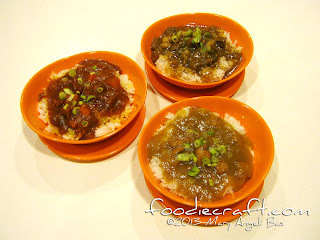 Guise as the simple, yet well-loved rice bowl, Orange Brutus rolled out three flavors of which are not bad to try. 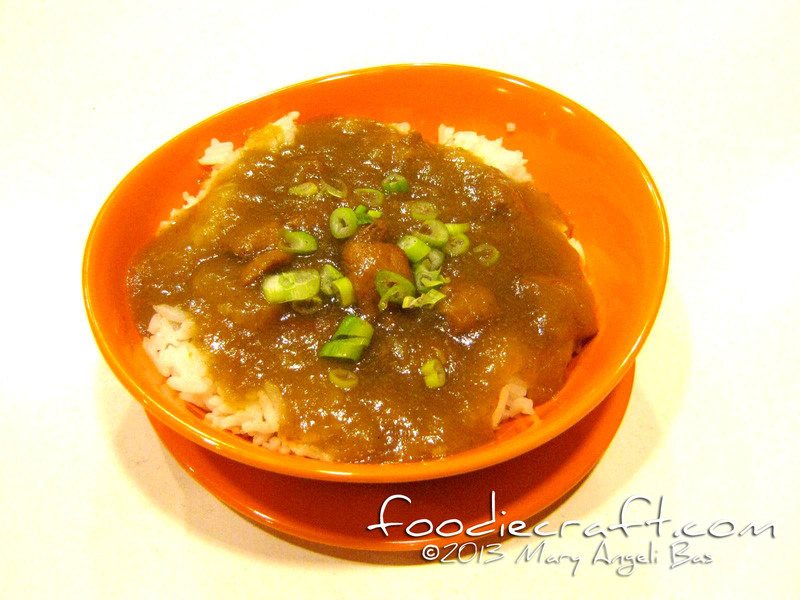 They are Asian Chicken, Beef Stew and Pork Adobo. The Asian Chicken tasted like Dimsum Break's signature Steamed Rice, only milder in taste. I personally find it too simple and plain in taste. 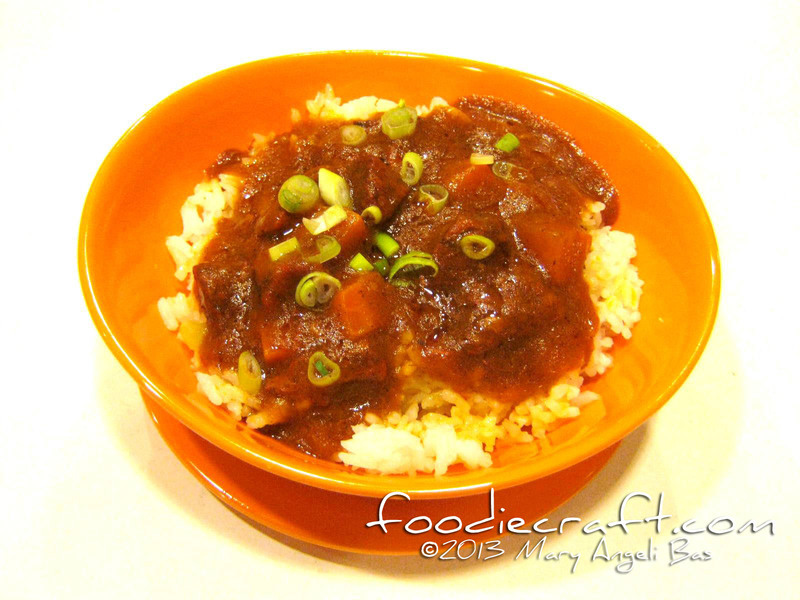 The Pork Adobo tasted fine. The pork was very tender and the sauce was so sweet, so concentrated (will make rice-eaters eat more rice). 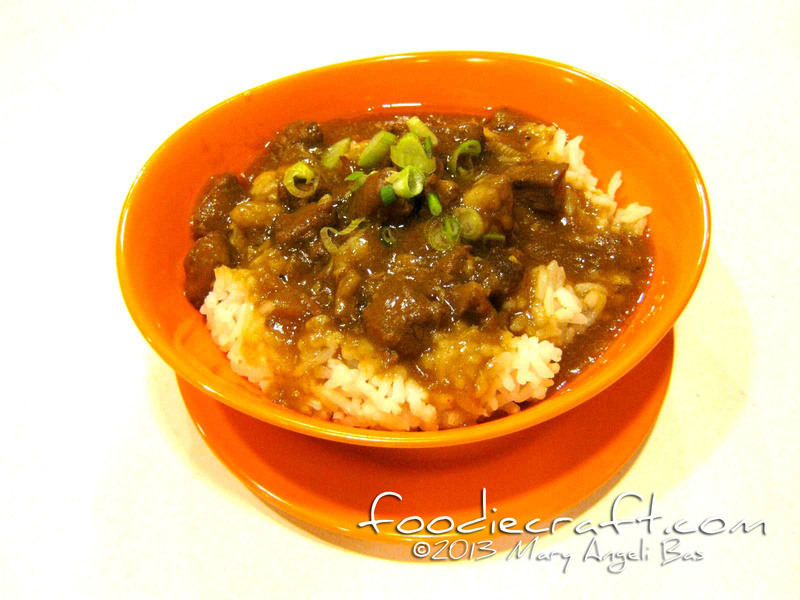 The Beef Stew possessed the taste of a particular Cebuano viand I always eat but (shamefully) forgot its name. Among all three rice bowls, this one is what I like because of it's sweet, tad spicy and familiar taste of sauce and beef. Cut scallions were drizzled on top of the bowls that spiced up and enliven the aroma of the dishes. Orange Brutus Rice Bowl costs Php55.00. I dislike shakes because I have tried so many flavors, so many times, but all tasted the same, simply common- nothing special. These bad shake experiences set my mind that there can never be a better shake than the common ones. Orange Brutus seemed to have changed this perception of mine. Orange Brutus shake, particularly Mango blew me away. The factor that caused this is the way it was prepared. The preparation played a huge role in the effect of how the refreshment looked and tasted. 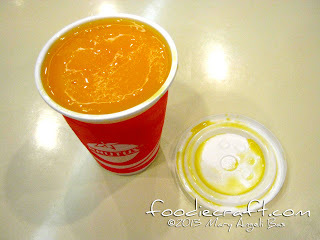 Orange Brutus Mango Shake was made up of the freshest mangoes there is, as shared by one of the waiters. It was simply blended with ice. Delicious and healthy! What really made me like it? It was pure. And by pure, good quality follows. The taste was good but what rather impressed me more was how the beverage looked and tasted after hours on the table. The look was the same and so did the taste. My shocking part was that the ice was still with the mangoes. 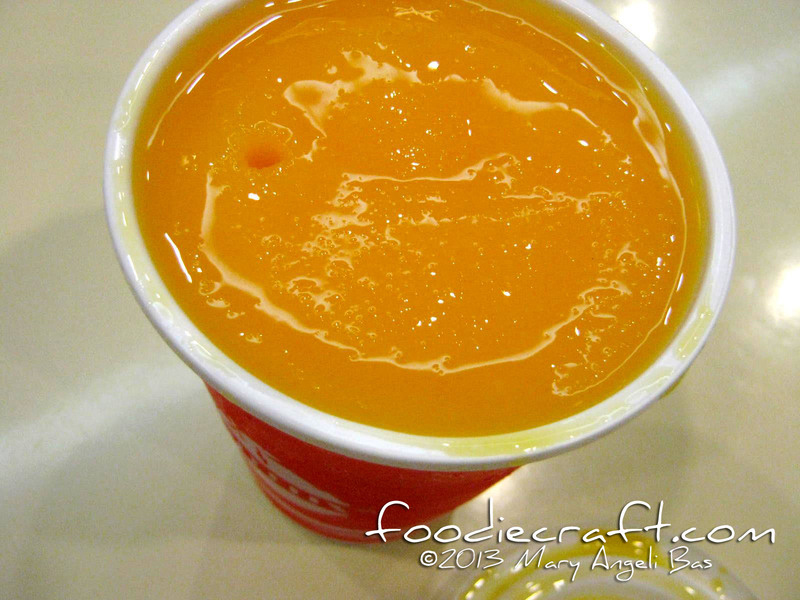 Unlike common mango shakes, the mangoes normally gradually separate from the ice. A part goes down the container and the other part goes up to the brim. This one is different. You can actually see the difference of a common mango shake from Orange Brutus shake through its color. Below is a dark yellow (near to orange) mango shake. First sighters may probably mistaken this as an orange shake. 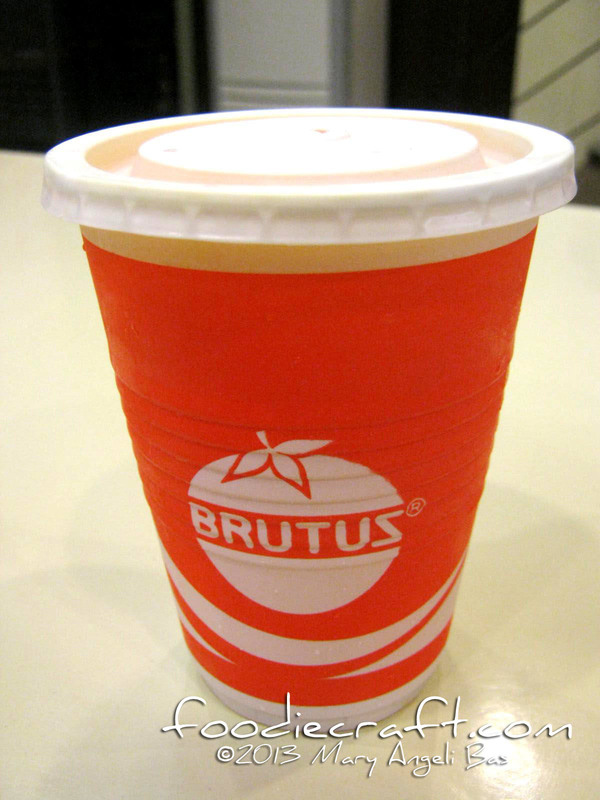 Orange Brutus recommends its diners to pair their Rice Bowls with their shake. I don't. I honestly see no relevance of the taste and look of the food to the beverage. I see no ways that the shake helped in accentuating the taste of the food, vice versa. I also don't' see a nice connectivity to the way the two things are served- no matching silverware of some sort. But I have to say I really like their mango shake. Orange Brutus is located at Hillside Terrace, Nasipit Talamban, 600 Cebu City.. For inquiries call +632346.1121-22 or email orangebrutuscebu@yahoo.com.